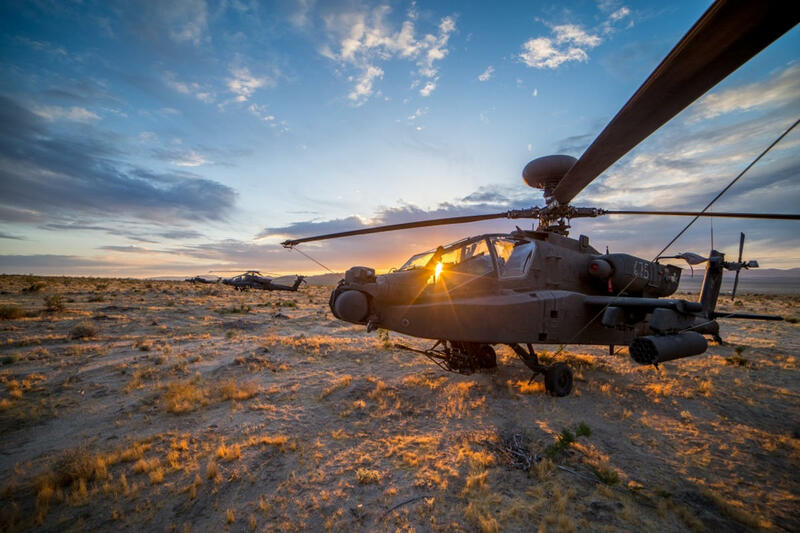 US Army AH-64 Apache at sunset, Ft. Bliss Texas. The Gulf War was the first major military operation by US forces in the post-Cold War era. Using the tools developed to defend Europe from the Soviet Union, the US and its allies engaged the Iraqi military on its home soil. The first offensive action of the war was a complex and risky night raid on enemy radar positions. U.S. Army Apaches flew at exceptionally low altitude and quickly and effectively destroyed all enemy radar equipment. This in turn opened a 10 kilometer wide path for allied fighters and bombers to assault Iraqi targets without detection. Daring, death-defying, and utterly vital, the 12 AH-64 Apaches and their pilots played a pivotal role in the war. US Army AH-64 Apaches with rotors folded for transport in a US Air Force Aircraft. The Apache was developed for the US Army, and its primary role is supporting ground troops and engaging ground targets. However, the AH-64 Apache can also operate ‘feet wet’ by working with US Navy aircraft carriers and transport craft. 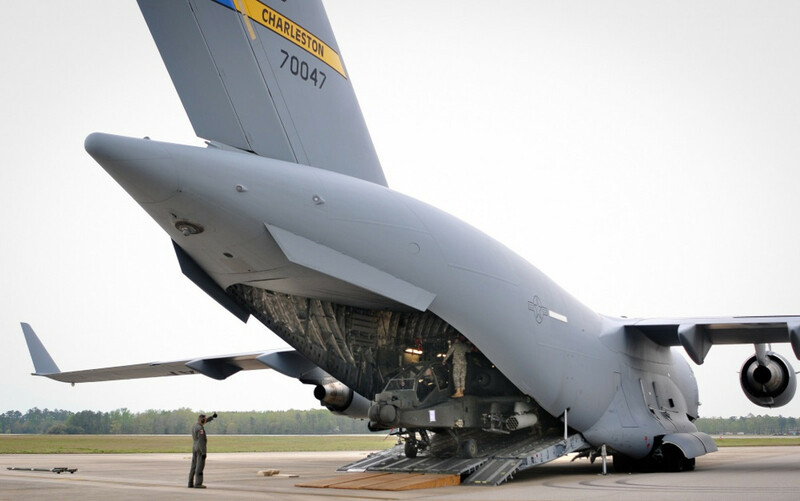 This enhances the capabilities of both branches: Army aircraft can now carry out missions over a wider swath of the planet, while the Navy can use transport vessels as a means of force projection. Interservice cooperation is vital to the success of the US military, and this creative use of the Apache works toward that end. A US Army Apache with rotors folded on a runway at Ft. Bliss, Texas. 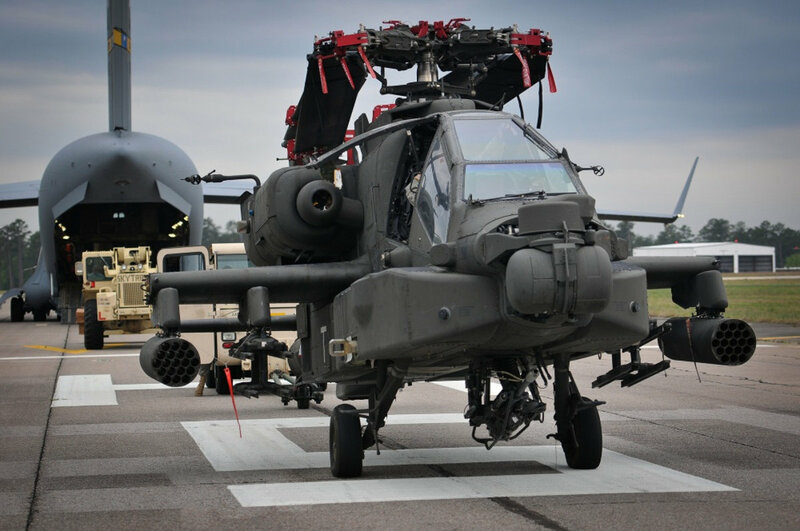 The AH-64 Apache is the heir to a storied tradition of attack helicopters, and its design reflects some of the best engineering available at the time. Despite being battle-proven again and again, occasionally problems do come up. 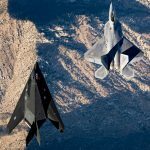 This became tragically clear in 2014, when a military investigation into a handful of accidents involving the Apache found a potentially catastrophic flaw. Contaminated hydraulic fluid was causing a critical hydraulic system error. The issue was corrected fairly quickly following a probe into the manufacturer’s processes. A number of faulty hydraulic reservoir service units allowed contaminants to enter the hydraulic fluid. 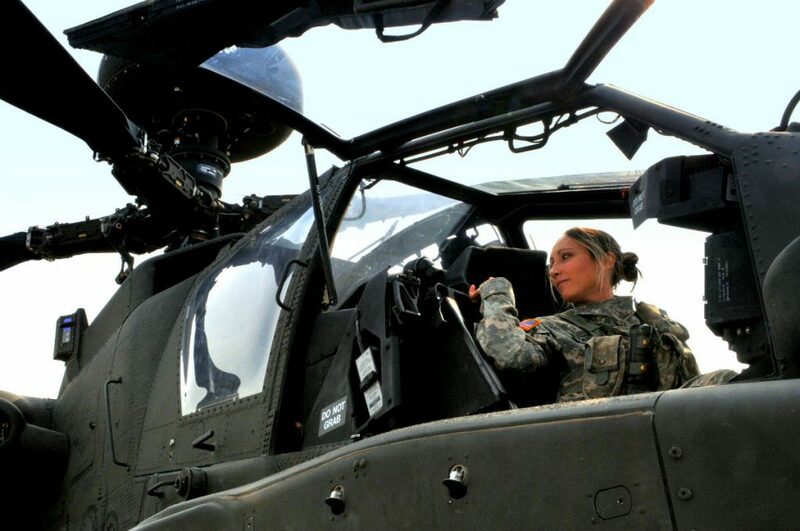 Chief Warrant Officer 2 Laura Tanski performs a few pre-flight checks on an Apache Block III helicopter, Aug. 16, 2012, at Marshall Army Airfield on Fort Riley, Kan. Tanski is one of less than 20 female Army aviators who fly for the 1st Infantry Division's Combat Aviation Brigade. Attack helicopters used to be a man’s world. But from the 1990s on, female personnel are making impressive contributions as Apache Pilots. The first woman to fill that role, Gwen Schallow, helped implement new and advanced weapons systems following her combat service in Bosnia. Angela Williams, the first African-American woman to fly the Apache, served with distinction while refusing to see herself as a hero or pioneer. About her Apache service she’s said, “And often times people ask me how does it feel to be the first African-American female pilot? My response is always the same, I don’t know any way to feel but like me.” These words embody the spirit shared by Apache pilots everywhere. US Army AH-64 Apaches at an airfield in Kunduz, Afghanistan. The AH-64 Apache is an iconic American aircraft. The name is drawn from a Native American nation, and the attack helicopter concept is the heir to the mounted days of the US cavalry. 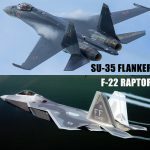 And most Apaches were developed in the US and produced by some of the biggest names in American aviation engineering including Hughes Helicopters, McDonnell Douglas, and Boeing, to name a few. However, some Apaches are produced overseas. The AH-64D Longbow Apaches in service with the British armed forces are produced under contract in the UK by Westmoreland Helicopters at their facility in Somerset. Unsurprisingly, those aircraft have been a vital part of Britain’s role in the War on Terror. 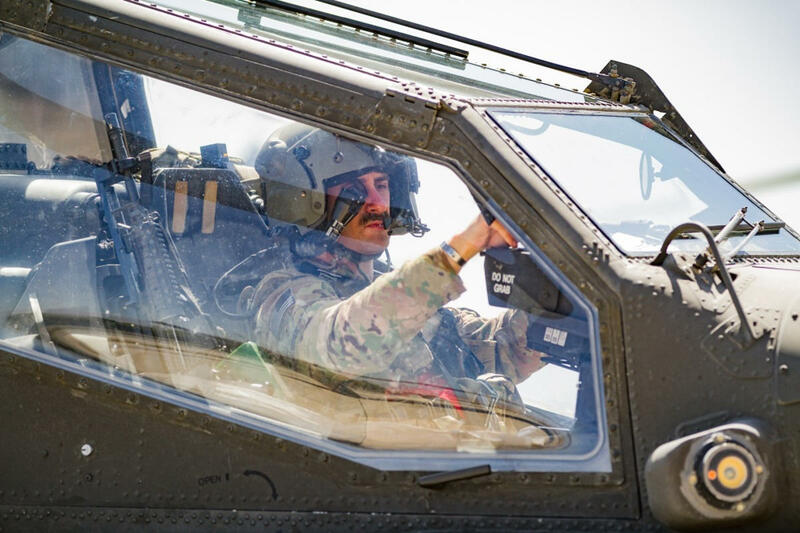 US Army AH-64 Apache pilot in the cockpit on an airfield at Jalalabad. The War on Terror took a dark turn with the rise of the Islamic State/Daesh and their bloody war in the ongoing conflict in Syria. While proven a wiley enemy, the Islamic State fighters who have encountered the AH-64 Apache have learned to fear its capabilities. 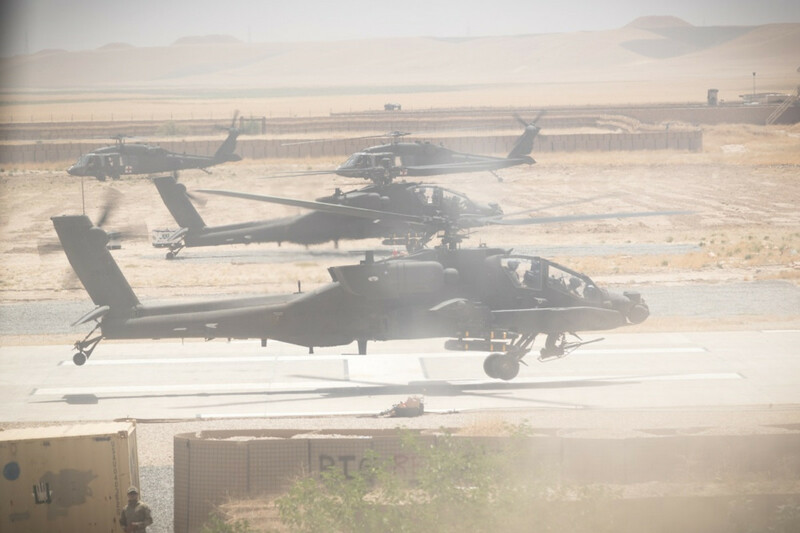 First entering the fight against the Islamic State in 2014, the Apache initially worked closely with Iraqi forces to liberate Anwar province. Flying dangerous, low-altitude missions, Apaches hit ISIS targets again and again to help turn the tide of battle in favor of their Iraqi allies. Even the most highly ranked terrorist leaders weren’t safe. Allegedly a senior leader of a deadly offshoot of Al-Qaeda, Muhsin al-Fadhil was involved in a number of terrorist attacks on US and allied targets in Afghanistan, Kuwait, and Yemen. His luck ran out, however, when he went to Syria to join other fighters in support of the Islamic State. While traveling in a convoy in July 2015, Muhsin al-Fadhil died when his vehicle was strafed by a number of US Army Apaches conducting a low-level nighttime raid on enemy transport and supply lines. His death was a significant blow to the Islamic fundamentalist forces and another victory for the AH-64 Apache. 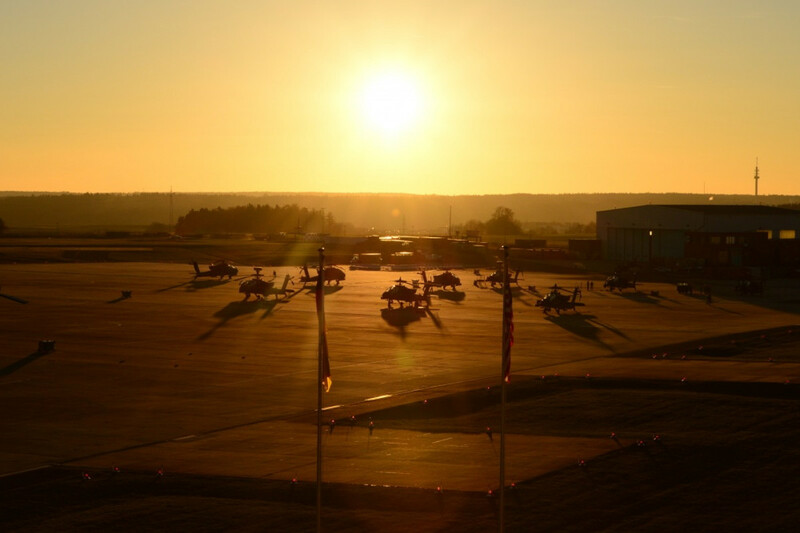 US Army AH-64 Apaches at sunset, Ansbach, Germany. The early days of the Global War on Terror saw US and allied forces thrown into a quickly planned invasion of Iraq and Afghanistan. They faced stiff resistance from a well-trained and organized Iraqi military. Bloody battles were all too common during the march to Baghdad. For the AH-64 Apache, one of the bloodiest came with the attack on Karbala. Intended to cripple the Messina Division of the Iraqi Republican Guard, the Karbala raid involved 31 Apaches attached to the US Army’s 3rd Infantry Division. The mission was a tough one. They would have to fly low level over a built up urban area filled with both regular Iraqi forces and resistance fighters. When they took off on the morning of March 24th, 2003, they knew they were flying into a hot zone. And it got hot. Most of the Apaches involved sustained serious damages, mainly from small arms fire. 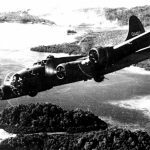 One pilot found himself taking fire from a concealed position such that he was hit and suffered a serious hemorrhage. Through discipline and willpower, he stayed in the fight and was able to fly his airplane back to base. Others were not so lucky; one Apache (designated “Vampire 12”) was taken down by rifle fire. Post-battle analysis confirmed that the Karbala raid was the subject of a carefully planned ambush by Iraqi ground forces. The Iraqis had carefully concealed multiple teams of soldiers armed with rifles, machine guns, and RPGs in order to best target and take down American helicopters. Despite their preparations and home field advantage, they were largely unsuccessful when faced with the Apache. US Army Apaches waiting for takeoff at an airfield in Jalalabad. Numbers don’t lie: the AH-64 Apache is one of the most successful attack helicopters in history. Its battlefield prowess aside, one of the most tangible testaments to the Apache’s critical role are the manufacturing numbers. In 2013, the 2000th AH-64 Apache rolled off the manufacturing line at a Boeing facility in Mesa, Arizona. 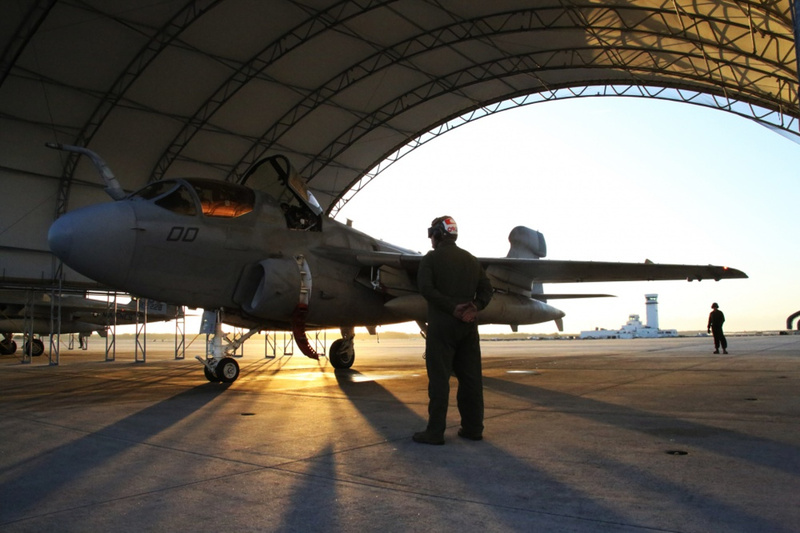 These are far larger production numbers than most military aircraft ever see. While its role may evolve, the Apache is here to stay for the foreseeable future. 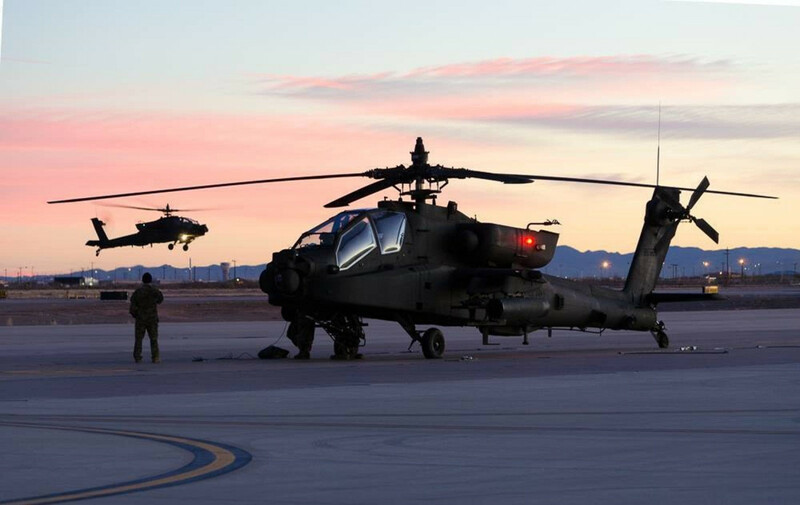 US Army AH-64 Apaches on an airfield at sunset, Ft Bliss Texas. 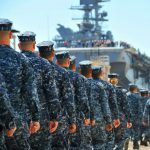 Military technology continues to advance, and the needs of contemporary warfare continues to change. The AH-64 Apache remains at the forefront of that evolution via constant upgrade and role changes. 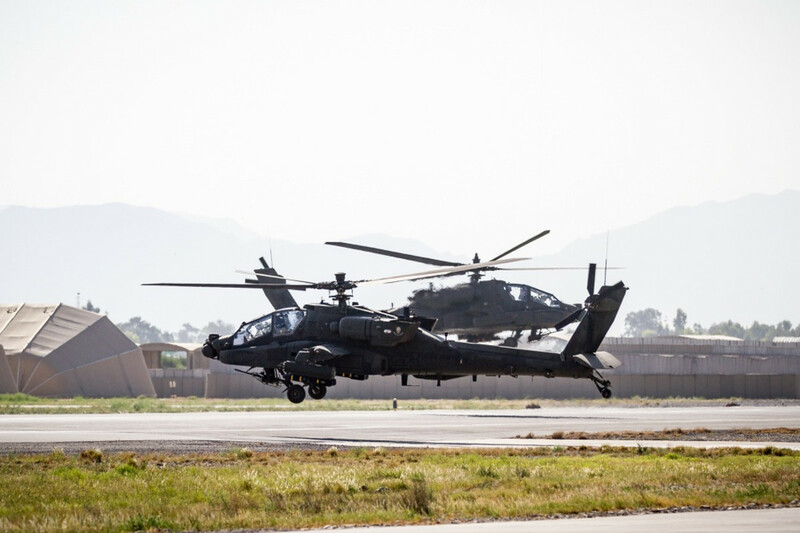 While its ground attack capabilities remain paramount, the Apache has also evolved into a scout role as the War on Terror continues in the remote and inhospitable terrain of the Middle East and Afghanistan. Likewise the rise of unmanned drones led to a new role for the Apache. Drones like the MQ-1C Grey Eagle can launch from Apaches acting as forward-operating platforms. This expanded role makes the Apache an even more vital role in the Global War on Terror, allowing it to outlive many of its contemporaries. 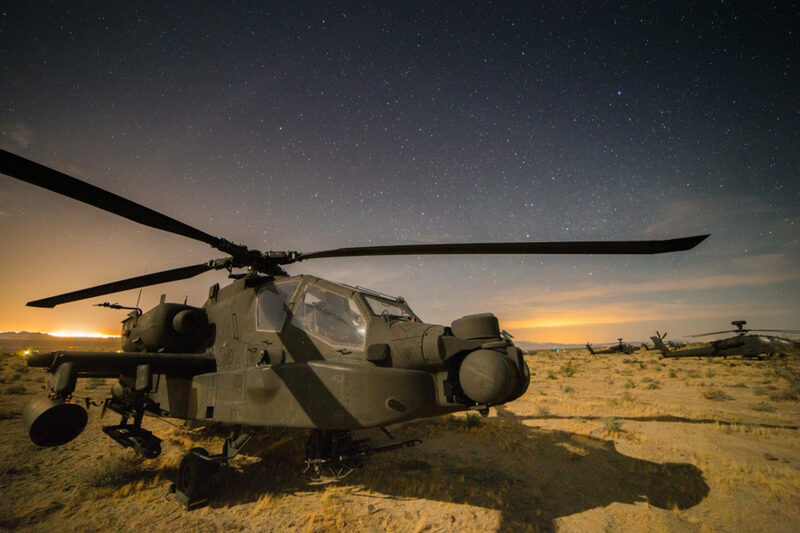 A US Army AH-64 Apache in the Mojave Desert during a training mission. Flying an Apache almost always meant both hands and feet doing four different things at once. Even our eyes had to learn how to work independently of each other. A monocle sat permanently over our right iris. A dozen different instrument readings from around the cockpit were projected into it. At the flick of a button, a range of other images could also be superimposed underneath the green glow of the instrument symbology, replicating the TADS’ or PNVS’ camera images and the Longbow Radars’ targets. Powerful words, and a message that highlights the skill and focus of the brave souls tasked with flying the AH-64 Apache. Watch the AH-64 in action!